Modern cars and trucks have complex electrical systems that do so much more than just starting your engine and powering your stereo. Having a strong battery and fully functioning alternator, ignition, engine management, lighting, climate control, and security systems is key to your car’s performance, efficiency, safety, and reliability. You need to be able to trust your car to spring to life right away, every time you turn the key, and you need all of your electrical systems working as designed wherever you go. Action Gator Tire and our teams of ASE-certified mechanics offer full-service inspection, troubleshooting, repair, and replacement services for everything electrical on your car. 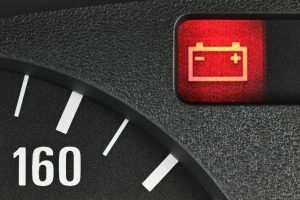 We have decades of experience with vehicle batteries, alternators, starters, ignition systems, headlights and turn signals, engine control and management computers, and all ancillary electrical systems on your car. Whether it’s a routine headlight bulb replacement, a complex issue in your wiring harness, or anything between, Action Gator is your go-to shop for any level of electrical system needs. When it comes to your vehicle’s electrical system, it all starts with your battery and alternator. Your battery is designed to provide enough power to crank your engine until it starts and powers itself. Once your engine is running, the alternator generates enough electricity to power all of your car’s electrical systems and continually charge your battery so it’s always ready when you turn the key. If you have a dead battery or a malfunctioning starter or alternator, Action Gator Tire has the experience, skill, and quality replacement parts to fix it all. Modern cars rely on a variety of computer systems to run and drive as designed. These days, computers control everything from engine timing, ignition, and fuel injection to power delivery, stability, emissions, and beyond. Most often, an issue with these systems will cause a warning light on your dash, such as the dreaded check engine light. No matter what type of warning light you’re seeing or how your engine is running, our highly trained and experienced technicians can handle all your OBD diagnostics and repair needs. Your car’s headlights, brake lights, and turn signals are incredibly important for your safety, but they’re easy to overlook—until they’re not working. Action Gator Tire has all the latest top-quality replacement bulbs needed to serve all your needs for exterior illumination and indicators. We also specialize in replacing burned out dash light bulbs, cabin illumination bulbs, and all other interior lights as well. With us, you’ll never be in the dark! From your car alarm and immobilizer to remote door locks that open and close with the touch of a button, today’s vehicles are equipped with some serious security electronics. At Action Gator Tire, we have the equipment, parts, and skill needed to inspect, troubleshoot, service, and repair all types of vehicle security systems. 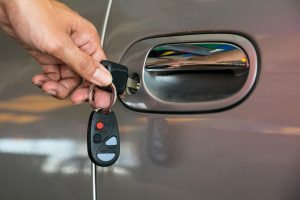 Whether your remote door locks aren’t working or your car alarm is going off unnecessarily, we can diagnose and fix it all. These days, electrically driven features that used to be expensive options on luxury cars are offered as standard even on inexpensive models. Standard equipment on many late-model cars include power windows, power seats, automatic climate-control systems, power mirror adjusters, and many others. All of these features provide power and convenience, but they can also cause frustration when they stop working properly. If you’re having trouble with any of these electronically driven systems, just bring your car to your nearest Action Gator for the most expert assistance available. 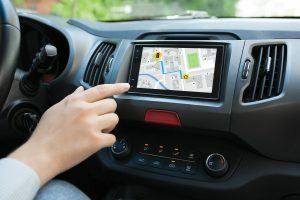 More and more cars are being sold equipped with state-of-the-art GPS navigation systems, advanced stereo and DVD entertainment systems, and cutting-edge safety equipment like backup cameras, blind-spot warnings, lane-departure warnings, and many others. Whether we’re inspecting your airbags or fixing a blown stereo speaker in your driver-side door, you can rely on the Action Gator Tire team for highly trained expertise, decades of experience, and the latest technology.